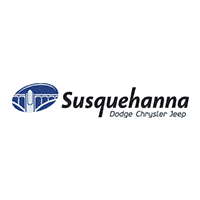 Central PA’s only RAM Truck Center is right here at Susquehanna. With 10 certified RAM Truck Experts, we have the knowledge and inventory to be your go-to resource for all things RAM truck. We are dedicated to giving our truck buyers an experience that is found nowhere else. No matter what you use your truck for, work or play, we look forward to finding the perfect RAM for you. We also offer RAM Truck Towing! If you’re new to towing or even if you just need to brush up on your towing how-to’s, RAM Trucks wants to be that friend who helps improve your towing knowledge. For more information about Towing and Payload capacity, visit the Ram Truck Towing Guide. If you have any further questions, you can contact us by filling out the form below.